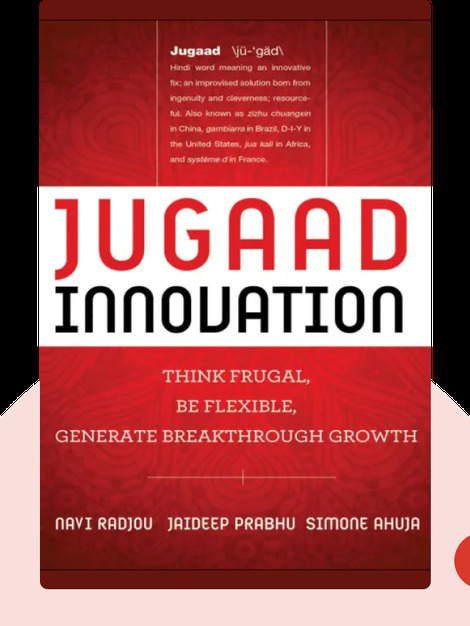 Jugaad Innovation (2012) provides some much-needed guidance for business leaders who want to drive innovation in today’s increasingly unpredictable global marketplace. These blinks look to innovators in India, China and throughout Africa for fresh, bottom-up approaches, frugal techniques and flexible management strategies to give the reader a strong understanding of jugaad principles. Navi Radjou is an independent consultant on innovation and leadership based in Palo Alto, California, and is also a fellow at the University of Cambridge’s Business School. Jaideep Prabhu is a professor of Indian business at the University of Cambridge. Simone Ahuja is the founder of a marketing and strategy consulting firm Blood Orange, based in Minneapolis and Mumbai. 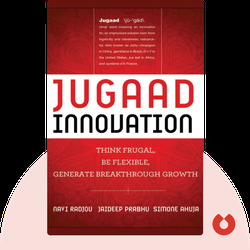 © Navi Radjou, Jaideep Prabhu, Simone Ahuja: Jugaad Innovation copyright 2012, John Wiley & Sons Inc. Used by permission of John Wiley & Sons Inc. and shall not be made available to any unauthorized third parties.